A Big Day for birding..
Home / Field Notes / A Big Day for birding..
How many bird species can be seen (or heard) in one day? That’s the question that drives Global Big Day – a friendly competition as to which country can register the most bird species in one day. 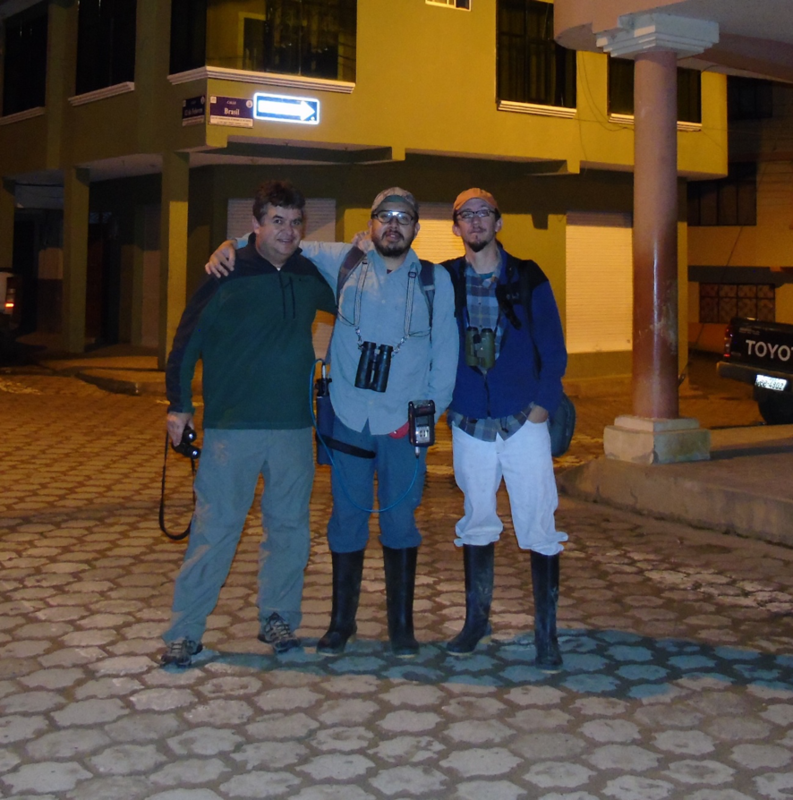 This year, Nature and Culture Director of Latin America Renzo Paladines joined forces with two of the best ornithologists in Ecuador to participate. On Friday, May 4, Juan Freile, author of the new book Birds of Ecuador, and Manuel Sánchez, president of the Ecuador Bird Network, together with Nature and Culture’s Renzo Paladines traveled to the southern Zamora Chinchipe province to participate in this year’s Global Big Day. This area is uniquely significant for birdwatchers in Ecuador, as it is the only area where you can find endemic species of the Dry Forests of the Marañón. Heading out on Global Big Day. Renzo (left), Manuel (middle) and Juan. The three birdwatchers started their day at 4:30 a.m. on Saturday, May 5. Manuel broke from the group and headed towards Yacuri National Park, while Juan and Renzo traveled to La Balsa, on the border of Peru, in search of endemic birds of the Marañón. After an exciting, albeit rainy, day of birdwatching, Juan and Renzo registered more than 80 species of birds! Registered birds included the Rufous nightjar, Marañon crescentchest, Tataupa tinamou, Russet-crowned crake, Spot-throated hummingbird, Marañon spinetail, Buff-bellied Tanager, Marañon Trush and Wedge-tailed grass finch. Marañon crescentchest by Derek Kverno. Spot-throated hummingbird by Robert Lewis. Manuel registered 89 species in the cloud forests and páramo of Yacuri National Park, including the Neblina metaltail, Andean hillstar, Andean flicker and White-winged brush finch (paynteri). Many of the birds reported by the three birdwatchers are only found in this part of Ecuador which undoubtedly contributed to Ecuador registering 1160 bird species in this year’s Global Big Day! Colombia and Peru were the only countries to surpass Ecuador, as birdwatchers registered 1534 bird species in Colombia and 1479 in Peru. 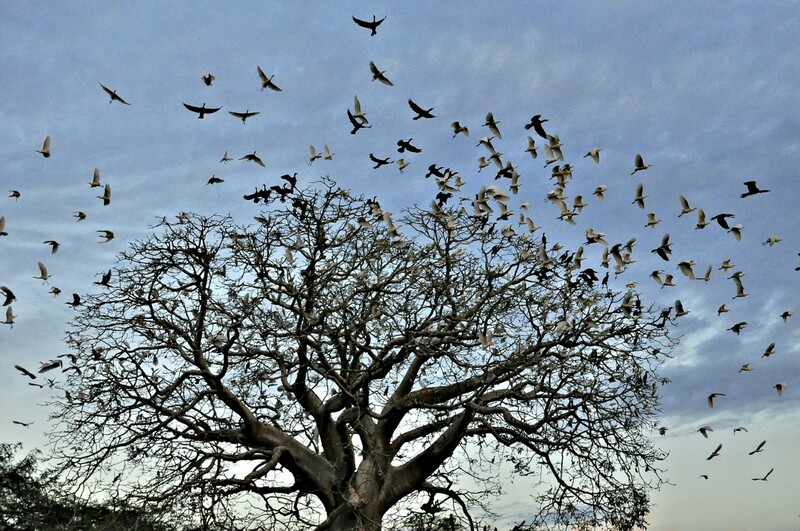 We are proud to work in all three countries protecting biodiverse habitats and the many species (including many birds!) that depend on them.